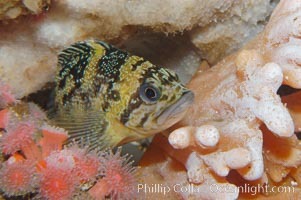 Yelloweye rockfish, juvenile. The juvenile yelloweye rockfish is black and white and only slowly becomes bright orange after migrating to deep water and maturing. Black And Yellow Rockfish Photo. 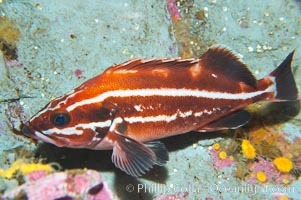 Yelloweye rockfish, juvenile. The juvenile yelloweye rockfish is black and white and only slowly becomes bright orange after migrating to deep water and maturing. Black And Yellow Rockfish Picture. 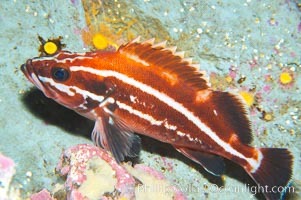 Yelloweye rockfish, juvenile. 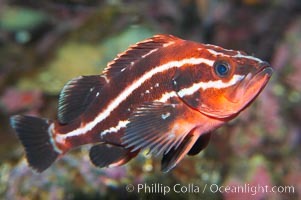 The juvenile yelloweye rockfish is black and white and only slowly becomes bright orange after migrating to deep water and maturing. Stock Photography of Black And Yellow Rockfish. Black-and-yellow rockfish. 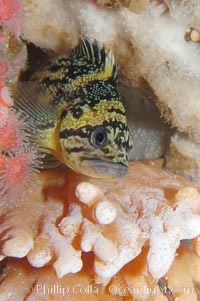 Photograph of Black And Yellow Rockfish. Black-and-yellow rockfish. Black And Yellow Rockfish Photos.